I am not always a sentimental sap, but this book just had me sniffling the whole way through. 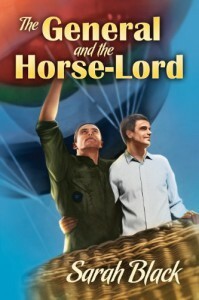 This is the story of two guys, one a top military strategist and the other a hotshot helicopter pilot, who’ve been in love since forever (but secretly) and had each other’s back in conflicts all over the world, have just retired from the military and are trying to figure out what that means for their life and relationship. Here’s something you don’t see too often in romance: John and Gabriel are 50 years old, they’ve been together 25 years, and they just have this deep instinctive harmony between them that’s lovely to see. So there isn’t any real conflict between them, when they have to sort out confusing feelings they do it by talking like they trust each other down to the ground. Drama is provided by external mess like Gabriel’s divorce (yeah, I forgive him, though not without a wince, for marrying when he was with John the whole time -- ), parenthood, and John taking on the corrupt administration of the university where he now teaches. The whole thing is from John’s point of view, and he has a combination of melancholy and regret combined with being proud of the work he’s done and an absolute joy when with Gabriel, described in quietly beautiful language.